Lupi Balsamic Vinegar | William Aitken & Co.
Lupi Balsamic Vinegar of Modena is the most popular brand of balsamic vinegar sold in New Zealand. 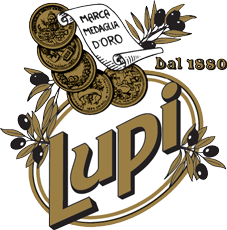 Lupi Balsamic Vinegar is produced in the province of Modena, Italy – where balsamic vinegar was first created centuries ago by boiling down the must (unfermented juice) of locally grown grapes, and ageing the resultant syrup in wooden barrels for anything up to 25 years or more. Lupi Balsamic Vinegar is a rich deep brown color, with a sharp and fruity flavour derived from the natural sweet and sour elements of the cooked grape juice and the hint of wood from the ageing casks. It’s a flavour that has only relatively recently been ‘discovered’ by Kiwi chefs and gourmets – who are now using balsamic vinegar in salad dressings, marinades, sauces and dips – and as a highlight for almost any sweet or savoury dish. Balsamic Vinegar is an integral part of Italian cuisine and is fast becoming a household staple in New Zealand too.